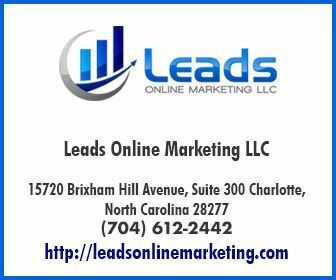 Drivers know that when their gas light comes on it’s time to refuel and stop at the next gas station, but when there is not a gas station in sight and your light comes on, it can be very worrisome. Driving with your gas light on is stressful because no one wants to be stuck on the highway without gas. It is important to recognize your gas tanks limits to relieve stress and keep you on the road. 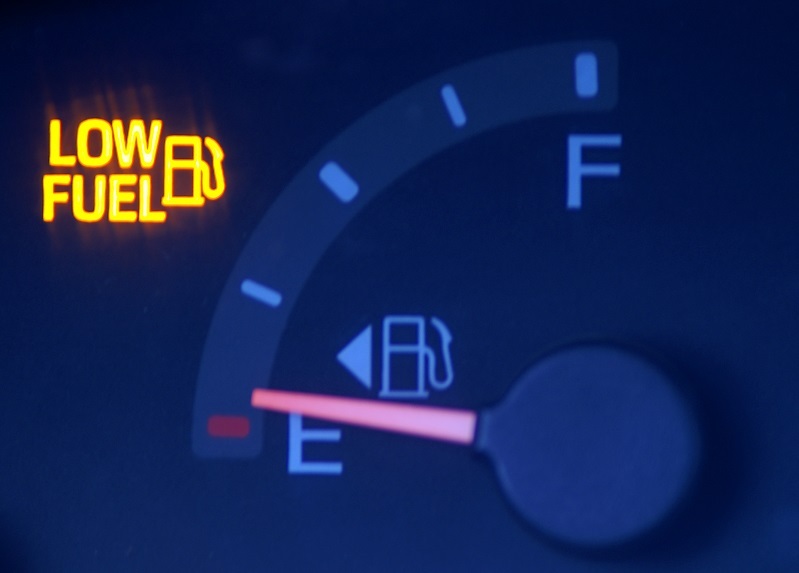 There are other dangers to letting your gas tank run out besides just being stuck so it is essential to know how far your vehicle can drive on empty. Having to pull over on the road because you are out of gas is very stressful and could also place you in a treacherous position. Vehicles on the highway travel at fast speeds and sometimes are not able to make proper adjustments in time for broken down drivers, resulting in an accident. Running out of gas in a desolate area can be very dangerous as well. People have had to spend the night in their vehicle due to snow storms or waiting on help to arrive. If you are traveling long distances it’s not a bad idea to have a spare gas tank with you. There can also be unseen damage done to your vehicle from consistently running out of gas. The catalytic converter can be harmed or ruined resulting in more time and money put into your vehicle, or perhaps it can deteriorate the fuel pump because of debris that is commonly found in gasoline. Either way, these warnings should not happen in the beginning, but if you let your fuel get low constantly it may end up costing you more money. Many of the new car models have a gauge that will let the driver know how many miles they have left to empty. This is a nifty tool that many individuals are now using instead of their gas light. This can also be problematic because that gauge is based on a rough calculation of your average mileage and not an exact estimation of how much gas is left in your tank. The “miles to empty” gauge should be used to evaluate your best gas mileage and not the distance remaining until you run out of gas. In order to determine how far your vehicle can drive on empty, you must take into consideration your vehicle model, the driving conditions, and your personal routine. Some car manufacturers allow for the vehicle to travel up to 90 miles with the gas light illuminated while others are only 20 miles. 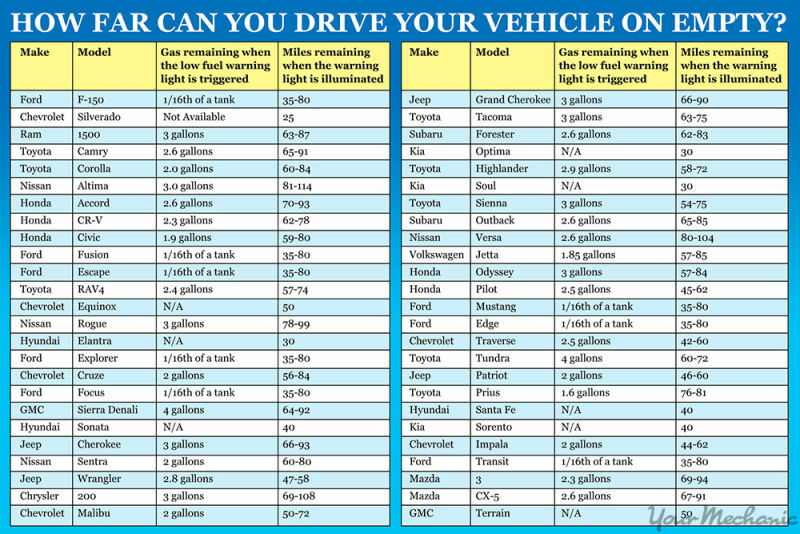 YourMechanic car and driver website has a chart available to help you determine how far you can drive with the gas light on based on your vehicle make and model. For cars that list “N/A” in the descriptions, the calculation is based on how many miles left to empty. Take a look and see how far your vehicle can go.